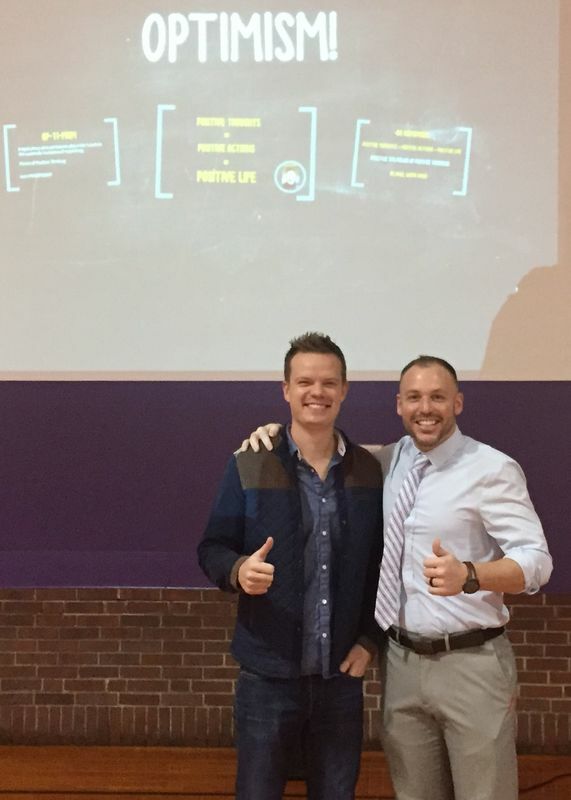 Shelbyville Alumni, Jared McClain, spoke to students in a gym he once ate lunch in when he was a student. He remembers it being bigger. 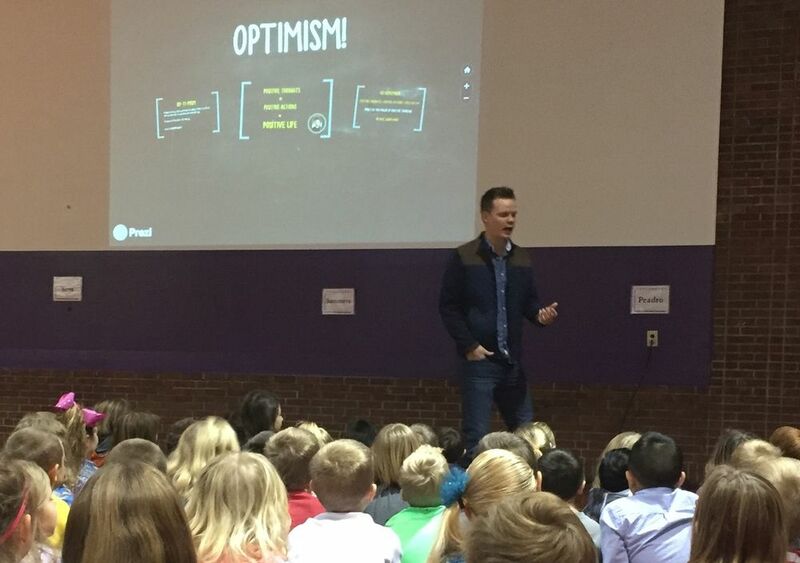 Jared's message was focused; "Positive Thinking" is powerful & we can choose our attitude. Jared began his message with the Merriam-Webster dictionary definition but quickly broke it down into the "meat & potatoes." Be positive with an open mind, expect the positive & appreciate the positive outcomes. The "equation" was Positive Thoughts lead to Positive Actions resulting in a Positive Life. Each Positive experience/focus is a "LEGO block" in his metaphor and an accumulation of "LEGO blocks" can build something very beautiful & special. Jared discussed the psychological phenomenon where Positive Energy is "Contagious." We can spread this attitude in our interactions and positively influence our peers and our school. People are drawn to positive people & it is a very valuable "employ-ability skill." Jared shared a true story with the students about an unfortunate event with long-lasting effects from when he was in the 3rd grade. Jared rode his 10-speed bike down the Shelbyville Dam which resulted in the expected bike wreck. Jared lost several front teeth, adult teeth. His peers described him as a "Jack-O-Lantern" and teased him immediately & frequently. This is where he embedded the anti-bullying component of his message with the effects it had on him personally. Jared said that by focusing on the positive and embracing the learning experience, he resolved to maintain a positive attitude & it has helped him live a happier and healthier life. We are the sum of our experiences & many times we reap the benefits of a mistake if we have a "Growth Mindset" and a Positive Attitude.